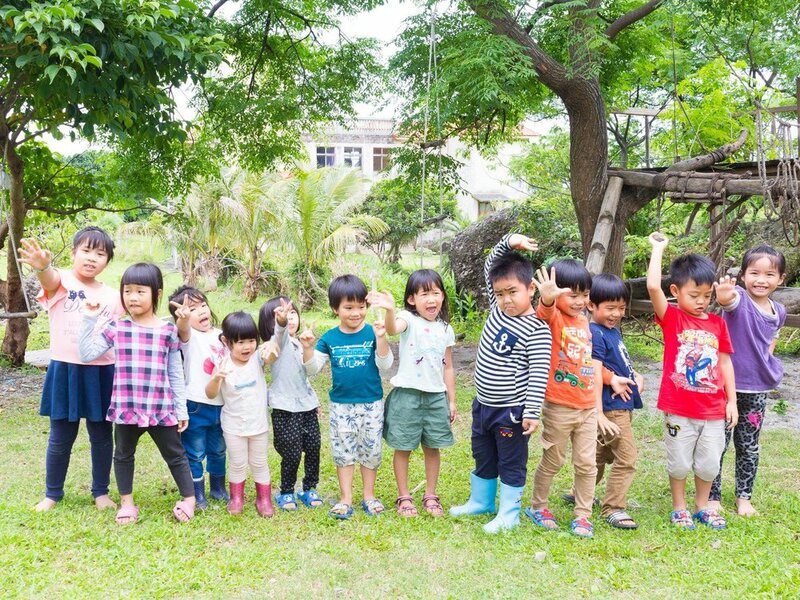 Nestled between the ocean and mountains of east coast Taiwan is Tamorak, a non-profit preschool for Indigenous children. Tamorak is founded by Nakaw, a local homeschooling mother, alongside the Amei people at Makotaay village in Hualien. As a teacher trained within the Taiwanese school system, Nakaw recognized the need for an alternative education program; one specifically geared toward Indigenous children struggling to fit into the current model. In February 2015 — in the humble basement of her home — Nakaw began teaching Amei children in their native tongue using a Waldorf curriculum . Over time, new teachers and supportive parents were personally trained by Nakaw and added to the roster of staff at Tamorak. The days I spent at Tamorak was filled with adventures, creative activities, and fresh, home cooked meals. I have never experienced a community where everyone so authentically supports one another. The children I met were lively, active and in tune with nature. The school setting was homelike with warm, inviting colours and hand-dye linens. The pace was serene and unhurried. During mealtimes — songs are sung with held hands and the staff eats alongside the children. Children dangle off wooden swings and tree branches during recess. 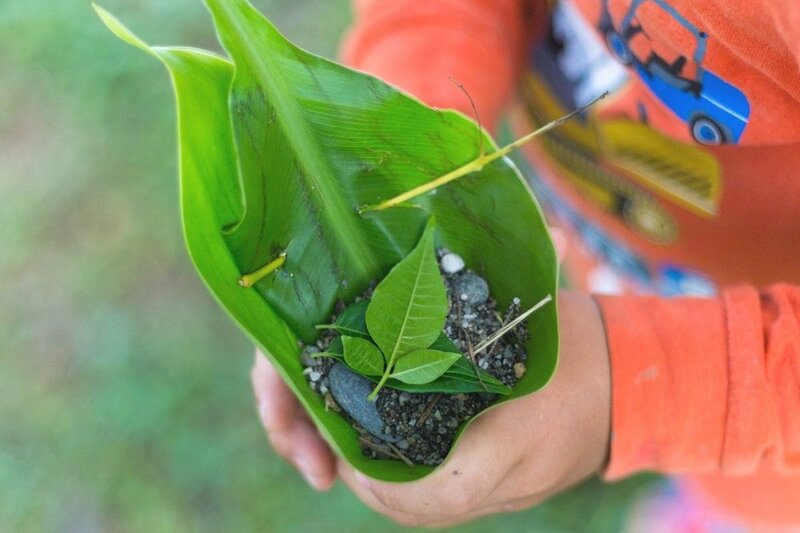 Toddlers join in on outdoor excursions and forage for edible plants with surprising agility. The older children are diligent, well-rounded leaders with great maturity and an acute awareness of the outside world. Nakaw says her goal for Tamorak and for these children is to feel a sense of belonging — to grow up knowing who they are and where they come from. Her greatest wish is to raise these children with strong values and for them to become self-sufficient adults. I left Tamorak understanding that while they may be a community fighting to preserve their culture, they are also a community filled with hope and a great sense of purpose in who they are and what they can contribute. Founder of Tamorak, Nakaw, teaches Chinese characters to two elementary student using illustrations and body language. Students in prayer, giving thanks before their mid-day meal by volunteer staff. Students climbing trees during recess. School activities are designed to be closely integrated with nature. 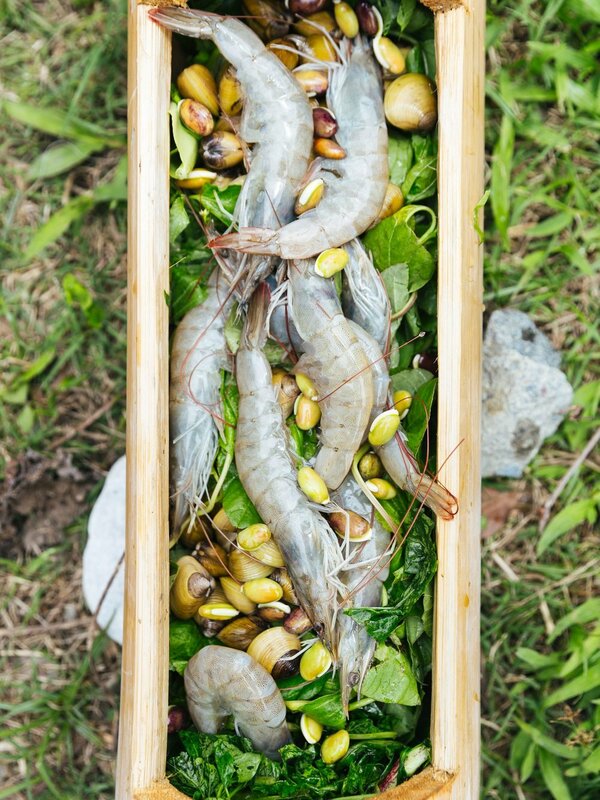 Stone Hot Pot — A traditional Amei meal prepared in hollowed bamboo for the spring ceremony. Organic vegetables, beans, and seafood stew are prepared using hot stones from the fire. The freshest meal I have ever eaten. Tamorak students on their way to classes in the field. These toddlers show surprising agility climbing hills and trekking down mountains. • Classes are taught in Amei language using a Waldorf curriculum. Waldorf education is based on the work of Rudolf Steiner and stresses the importance of hands-on activities, creative play, and learning through imitation. Classes are designed with a focus on the connection between the heart, head, and hands. Nakaw believes this system offers a parallel to the Amei culture and values. • Lunches are parent-supported and made with local organic produce. • Pottery, painting, cooking, storytelling and outdoor classes are included each day. • Teaching materials, paints, and props are natural and non-toxic. Use of computers and television are limited and only introduced to children at an older age. • Tamorak (pronounced Damorak) was named after the late village elder. Tamorak means pumpkin in Amei and represents growth. First-grade student Paha was originally enrolled in the Taiwanese school system, where she struggled with isolation as a result of language and cultural barriers. Paha’s mother, a volunteer teacher at Tamorak, drives two hours every day so Paha can attend classes. The progress Paha has made since transferring to Tamorak has been incredible. Tamorak students enjoying playtime on the outdoor playground built by elders from the Amei village. Poror, Arigfowang, and Atomo (Nakaw’s three children) stand against the stunning landscape of east coast Taiwan located by the school. Children playing with leaves and stones during recess. No plastic or artificial materials are used within the classrooms. As a result, children become very resourceful at making their own toys. The Amei language has no written characters — all communication passes verbally. Because of this, Amei children face incredible challenges in learning and adjusting to the visual elements of the Chinese language. Without a method to communicate in school, Amei children often withdraw from social activities or become trouble makers, and many are incorrectly identified as having a learning disability. Correspondingly, children that successfully adapt to the Chinese language have a hard time readjusting to their own language when they return home. Nakaw believes that the root of the problem lies in language: She believes children must learn the language of the village and be educated in a system that aligns with their values and culture. Tamorak is currently limited to a kindergarten curriculum, but Nakaw has plans to begin developing the elementary curriculum. As the children graduate, additional teaching spaces are needed, alongside more teachers and resources. All meals, utility bills and teaching supplies are currently being covered by Nakaw and the Makotaay community. Despite government funding, Tamorak is constantly underfunded. For the school to receive sufficient funding from the government, they must first become certified as an official school, and children will need to pass standardized tests as they come of age. “Tamorak is in need of your support to continue the education of these children and preserve the Indigenous language and culture. “ To donate or support the work at Tamorak, visit their GoFundMe page here.